I’ve loved bananas as long as I can remember. My family likes to tell stories about how I’d ask my Grandpa for a bite of his banana. I’d ask over and over, and only leave him a bite or two! 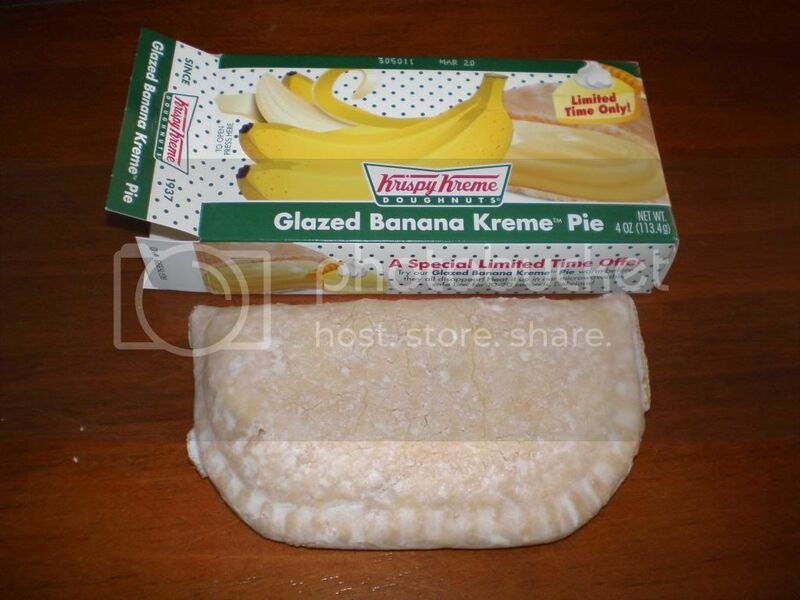 That’s why I was super excited to try the new Krispy Kreme Banana Kreme Pies. They’re a flip style fried pie. They are bursting with delicious,authentic banana flavor. The texture of the cream is just right. Not too runny, but not so thick it’s goopy. No leftovers! I never bake pies because we feel so guilty eating it for a week to get rid of leftovers.. These mini pies let you indulge your sweet tooth in a single serving size. I found the crust/glaze a little dry. I’m sure it’d be better if you picked them up at your local store/grocery store! 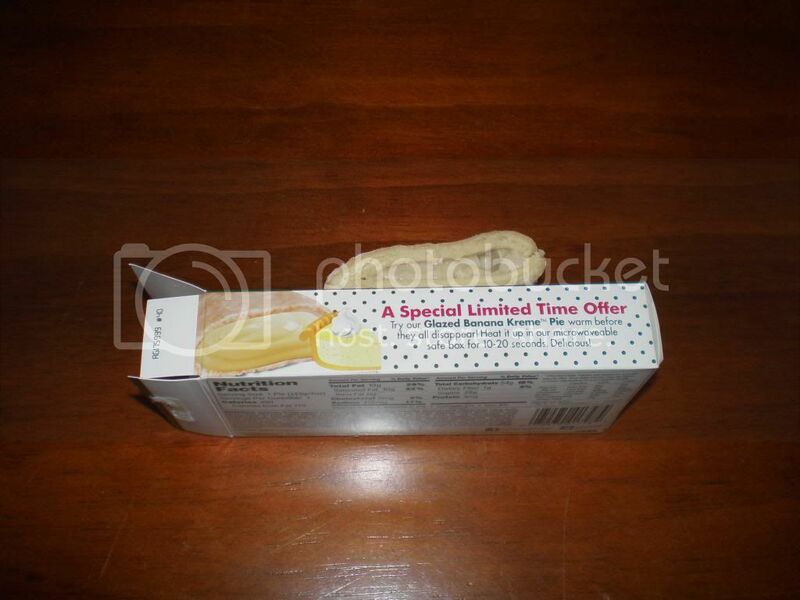 Disclaimer: Baking Beauty received a sample from Krispy Kreme. No compensation was received, and all opinions are my own. Yummy! This looks great! i had a cherry one the other day and it was truly addicting! I thought that Krispy Kreme was no more. Maybe that’s just their donuts. Great to see that you had some fond memories of your Grandpa. How dare you post such yumminess without bringing some to me!!!! Seriously looks and sounds yummy! Ohhhhhh… I can smell KK now. I’ve gotta try this! Looks like a tasty treat. I didn’t know Krispy Kreme had pies….good to know. I did not know they made pies, I will look for them when I head to the store tomorrow.